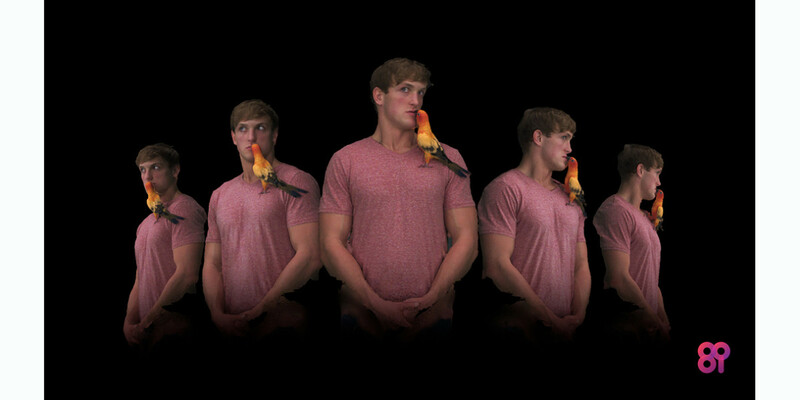 8i, a startup based in New Zealand, has unveiled a new 3D Video format based on light field technology. Its mission is to offer a more realistic take on virtual reality and augmented reality, particularly in its portrayal of humans. 3D Video is an alternative to computer graphics in that it converts multiple digital videos to light field format and reconstructs the streams as volumetric 3D video. This aids in the creation of realistic VR content with any video-capable camera when combined with the company’s proprietary software. 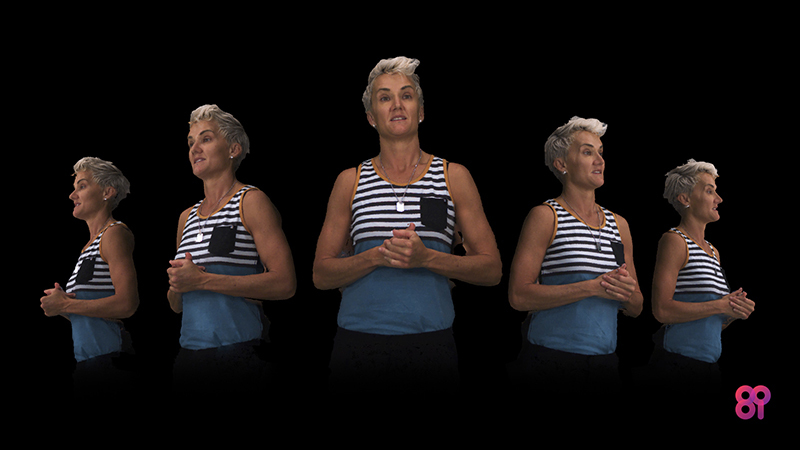 To show off the capabilities of the new technology — released today for viewing in its alpha form — 8i is inaugurating its #100humans Portrait Series, the first 3D video portraits of real people filmed in the format. This interview and performance series features musicians, athletes and technology experts. In conjunction with the announcement, 8i is also launching its player so that anyone who’s lucky enough to have a developer Oculus Rift headset will be able to immediately download the videos and view them in VR. Whereas 3D computer graphics are mesh creations of splines and polygons, 8i uses light field (the same format as the Lytro Illum camera) to create 3D moving images. With the light field, there is no mesh. Light field is essentially pixels — a more advanced kind of pixels. This technique feels more realistic because it is derived from video as opposed to being a constructed object. It feels more authentic and biological because its is not artificially generated. It is more flexible — observers can actually navigate through the scene within the recordings. The company created a proprietary format because a codec is needed to compress the video in a new way. With 3D, as you move around, light changes depending on your viewpoint. “We had to create a whole software stack from capture to playback on VR, AR or mobile devices,” Gasking said. Within each video, you can move around in the scene either on your desktop or on a smartphone — you can touch or tilt the figure on the iPhone, tablets and other mobile devices, or download and move in virtual reality on Oculus Rift. “The thing that has been missing in the past is the ability to capture humans. So we’ve been focused in our first project to record the first 100 humans in this video. “Instead of computer game characters, viewers are experiencing real people. Because of the virtual reality space, you get a whole new level of connection to the people you’re watching,” Gasking said. 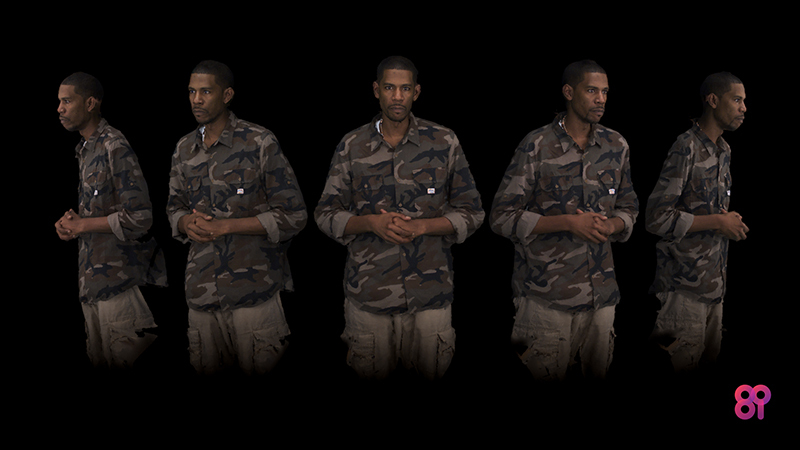 This also eliminates the uncanny valley effect that often makes computer generated 3D people uncomfortable to view. While it’s not quite possible today, eventually this simplified method will allow anyone to create and share VR content almost as easily as uploading digital video to YouTube. Gasking is creating an environment where once you shoot the video, 8i handles processing in the cloud. In the future, apps will be available for editing the video while all processing will be server-based. At the outset, only studio recordings can be rendered properly. For now, creators will be able to shoot with as few as two standard cameras in 8i’s Los Angeles studio. Over time, the company plans to work with the creative community to set up standards, templates, and recommendations for creators.